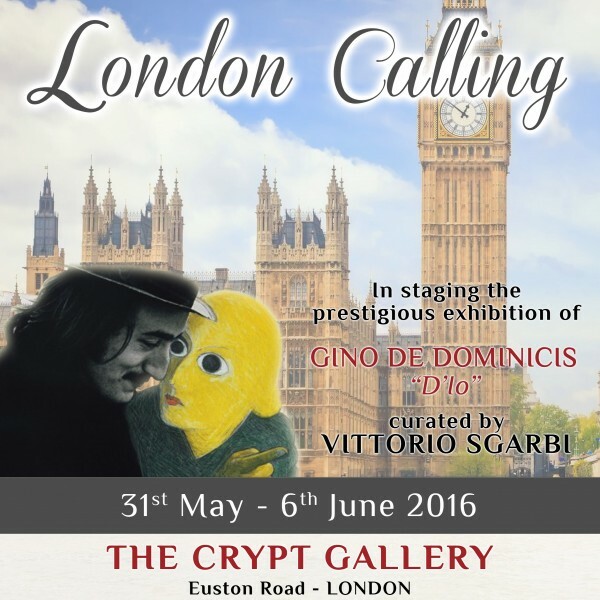 Spoleto Arts is pleased to present “London Calling”, in homage to the great artist Gino De Dominicis, curated by Prof. Vittorio Sgarbi. The exhibition, organized by the cultural manager Salvo Nugnes, will be inaugurated on Tuesday, May 31, at 6 pm. According to De Dominicis the pun “d’io” refers to the idea that the immortality of the body is not a divine condition, but open to every human being. Commenting on the distinctive characteristics of the art of De Dominicis, Sgarbi stated ” His whole work is like magic, that amazes, kidnaps, stuns far as to substitute for reality itself. Therein lies the mystery of art, in his strength to take the place to life. Rarely a contemporary artist expressed with images such a strong thought “. The exhibition also includes the works of talented artists established in the world of contemporary art of the caliber of Maria Pia Severi, Luciano Tonello, Liliana Mantione Lanaro and others.